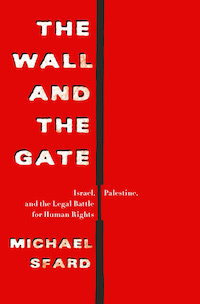 The Wall and the Gate: Israel, Palestine, and the Legal Battle for Human Rights, by Michael Sfard, Metropolitan Books, 2018, 528 pages. 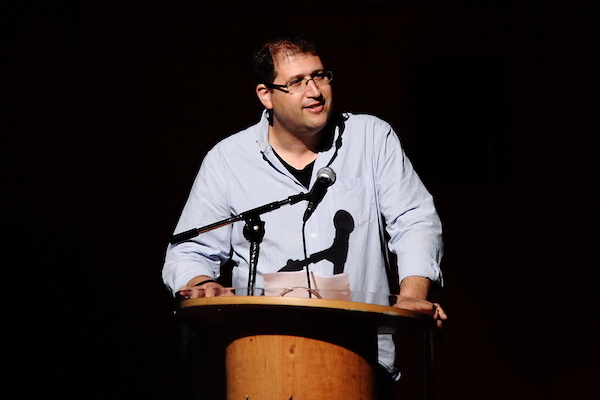 22 Jun 2018 – Michael Sfard has spent the past two decades fighting the occupation in Israeli courts. His new book dissects the moral dilemmas of engaging with the occupation’s legal system, its role in making the status quo sustainable, and why, despite it all, he remains optimistic that Israel’s military rule over the Palestinians will end. File photo of attorney Michael Sfard in his Tel Aviv law office. 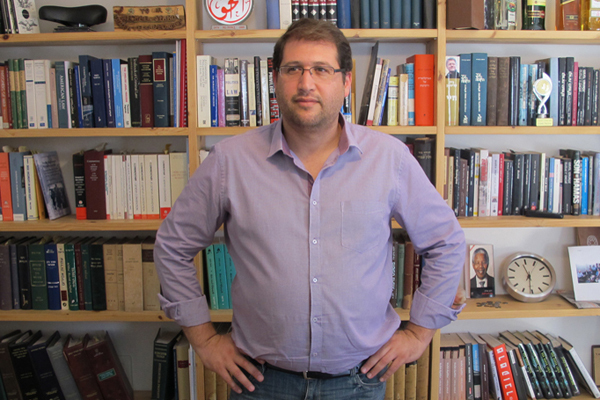 Michael Sfard is one of the preeminent human rights lawyers in Israel today, where for the past two decades, he has confronted the occupation on its own turf: in Israel’s legal system. Success is never guaranteed, and the playing field is anything but level, but Sfard and his colleagues have scored some important victories — among the best known in the West Bank village of Bil’in, where they were able to get back hundreds of acres of the village’s agricultural land which had been effectively annexed to Israel by the separation wall. Born in Jerusalem, Sfard represents a range of Israeli human rights and peace organizations. Most of his work focuses on the rights of Palestinians in the occupied territories. Recently, Sfard published a new book, “The Wall and the Gate: Israel, Palestine and the Legal Battle for Human Rights.” The book is a history of the legal struggle against the occupation, covers a broad range of Israeli practices vis-a-vis the Palestinians, and how those practices were fought in the Israeli courts: from the expulsion of Palestinian leaders without due process, to torture and the state’s legal maneuvers to cover it up, through targeted assassinations and, of course, one of Sfard’s specialties – the appropriation of Palestinian land so that Israeli settlements can be built and expanded. The underlying theme of the book is inner struggle, which you often hear about from anti-occupation activists, particularly those involved in the legal arena: are we doing any good, or are we actually streamlining the occupation, working out the kinks, making it more palatable? I sat down with Sfard last week to discuss those moral dilemmas, and to hear why despite it all, how remains so stubbornly optimistic. The book was born on the Jerusalem-Tel Aviv highway during the hundreds of trips back from the High Court of Justice. It was conceived due to my uncertainty about whether the work I was doing was contributing to the cause of human rights, or damaging it. These dilemmas, which all legal activists against the Israeli occupation face, are part of the struggle against any evil regime — any regime that inherently violates human rights. Do you cooperate with the system? Do you engage with it? Do you appear before the courts of the occupier? What price do you pay for such activity? I couldn’t solve these dilemmas on those drives back from the court, even during traffic, and I understood that I would have to dedicate the necessary amount of time to grappling with them. It was clear to me that a serious undertaking would require a deep familiarity with the history of the issues. I hope the book, beyond the dilemmas it deals with, is first and foremost a good story. How would you define the role of the legal establishment in forming the occupation? The occupation is built on three cornerstones: the gun, the settlement, and the law. The law is what props up the edifice of occupation and prevents it from crashing down. It allows it to confront problems that would weaken it, and to a certain degree it prevents it from going mad. 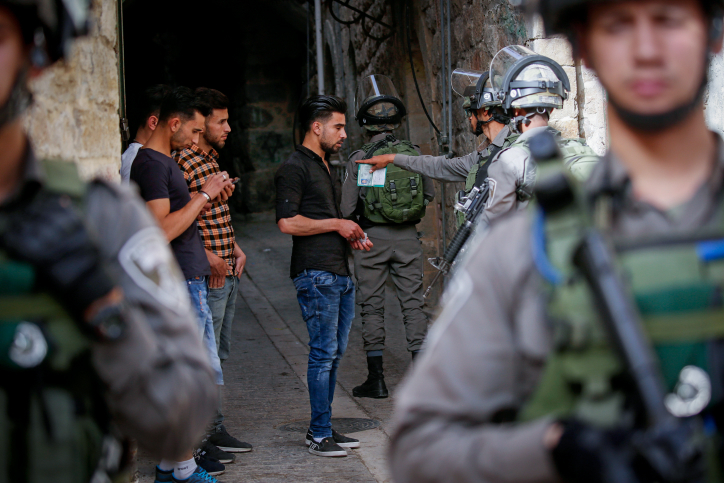 It prevents the occupation from reaching a state where all of the Israelis who oppose it would have no choice but to go out to the streets in protest. Paradoxically, it is able to achieve that by providing some protection to the occupied – protections which, over the years, are getting weaker and weaker. What is the role of human rights organizations in defining the role the law plays in the occupation? Human rights lawyers began challenging the occupation fairly quickly after it began. The DNA of Israel’s military government in the occupied territories, as designed by Meir Shamgar [Military Advocate General in 1967, and later Supreme Court justice and president of the court – YZG] was completely backed by legal norms. He considered the rule of law to be supreme and created a system intended to prevent claims about arbitrary behavior. That these are the cornerstones of military rule practically begs the lawyers who represent those governed to engage. But had the court never provided judicial relief in the first place, no one would approach it. Relief, not necessarily a ruling, is the oxygen necessary for the process. This process got a major boost with the appearance of human rights organizations in the 1980s, after which Palestinian appellants no longer needed to worry about paying for legal representation. They had nothing to lose. Litigation for social change, unlike private litigation, has several goals. The first goal is ensuring the client is given judicial relief. The second goal is policy change: we want to make sure that the rights of not only our clients, but also of others who are in his/her position, are not harmed. Above all these, there is another goal: the struggle for regime change. We want to help end the occupation. When you understand we are operating in these three realms, that we are facing a three-variable equation, you also realize they usually align in the same direction. Legal remedy helps change policy, while also shortening the lifespan of the occupation. 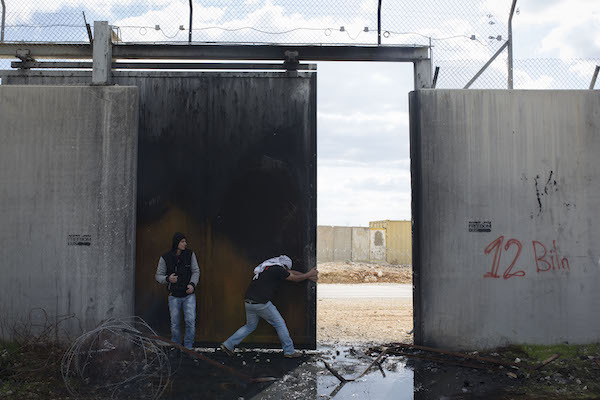 A Palestinian youth opens a gate in the Israeli wall, during a protest marking 12 years for the struggle against the wall and the occupation in the West Bank village of Bil’in, February 17, 2017. The problem arises when they collide — and that happens. Say you’re working on a petition demanding policy change, and your estimate is that you’ll succeed — that a damaging policy that also causes the occupation major PR damage will change. You also know that this verdict will be one of the few that are simultaneously published in Hebrew and English, and that it will subdue those who are already itching to go to the streets. Or perhaps you presume that the process will lead to a positive policy change and may prevent damage to many individuals, while at the same time prolonging the occupation’s shelf life. Sfard. ‘I do not sacrifice the individual on the altar of a general good. The humanist ideal, on which I base my code of conduct, is to see the individual first and foremost. My guideline is that I do not sacrifice the individual on the altar of a general good, which by necessity is entirely speculative. The humanist ideal, on which I base my code of conduct as a legal human rights activist, is to see the individual first and foremost. And yet, there are things I would absolutely refuse to do. I will not represent a Palestinian who wants to sell his land to settlers. I will not stand in his way. I may help him find a good lawyer, but I won’t do it. This, to me, is theft. This isn’t a situation of a sale between equal two sides acting of their own free will. My fundamental belief is that such a regime is unstable and cannot remain in our world indefinitely by definition. The question is how it will end. My optimism is not just faith: it is a rational analysis of the possible and likely scenarios. And in this sense I think there are quite a few scenarios that will lead to a significant change. Naturally, if we base our analysis on the news, then we have no reason to be optimistic. But if we look at reality not as a still image but as a process, then I think the feeling that the occupation is permanent is unfounded. I want to challenge your optimism. The Israeli occupation is working on monitoring the movement of all Palestinians at all times. They are working on monitoring thoughts even before you have them. We were all raised on the idea that freedom will always prevail. What happens when the new dystopian technology allows a technologically-superior force to maintain an occupation forever? The tools of control are getting more elaborate. But I never believed the gun or technology will bring down the occupation. There is another factor: our societal strength to maintain [or end] it. I’ll give you two examples, both of which are the result of the Amona verdict. The first is the “Formalization Law” and the other is UN Security Council Resolution 2334. I see them as proof that the ground is shaking, that it is unstable. A government that is forced to enact the Formalization Law is one that suffered its worst defeat since 1967. Look at the tremendous energy dedicated to silencing the voices of civil society acting against the government. I see that as strong proof that someone is willing to pay for the occupation at the expense of Israel’s image as a democracy. If the prime minister and the people around him are willing to sacrifice more of this image in order to prevent B’Tselem and Breaking the Silence from expressing their views, then they realize that Israel’s greatest national project is a monster that must be constantly fed. This pressure on Israeli society – I don’t know how it will burst, but it will. Your book is intended for Western and Israeli readers. How do you convey these points to your Palestinian clients? Let me tell you a story. One of my greatest victories was in Bi’lin. When I went to Bil’in on the day of our victory, the celebrations were insane. You could think the occupation had ended and that Palestine won its independence. 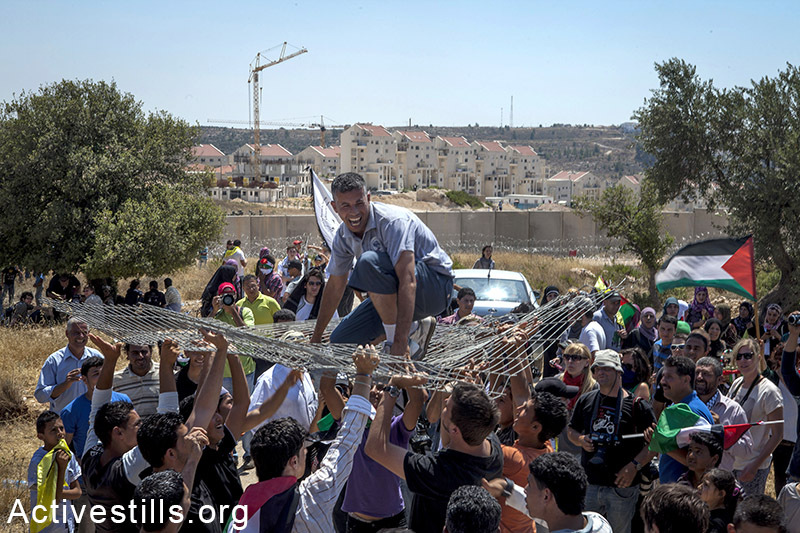 The villagers of Bil’in celebrate after the Israeli authorities moved the separation wall, returning hundreds of acres of Palestinian land to their owners, July 1, 2011. A cold look at the facts will tell you that the fence took away 500 acres of Bil’in’s land, and that the victory returned some 200 acres. So what were they so happy about? They understood, intuitively, what I needed to write 600 pages in order to understand: Bil’in has become a symbol, and the victory in the village was much greater than the legal redress they actually got. What lessons can an English reader should learn from your book? The occupation is not an internal Israeli issue. That the enslavement of millions of people is not simply Israel’s problem, but that of the international community. It should be a lesson to the Jewish reader, since Israel claims to speak for the entire Jewish people, and for the American reader — since there is no greater enabler of the occupation than the U.S.
+972 Magazine is a blog-based web magazine that is jointly owned by a group of journalists, bloggers and photographers whose goal is to provide fresh, original, on-the-ground reporting and analysis of events in Israel and Palestine. Our collective is committed to human rights and freedom of information, and we oppose the occupation. However, +972 Magazine does not represent any organization, political party or specific agenda. We see +972 as a platform for our bloggers to share analysis, reports, ideas, images and videos on their channels. Each blogger owns his or her channel and has full rights over its contents (unless otherwise stated). The bloggers alone are responsible for the content posted on their channels; the positions expressed on individual blogs reflect those of their authors, and not +972 as a whole.